We have more than 38,000 readers of the emailed and web versions of Shelf Awareness Pro. The list consists mainly of booksellers, librarians and publishing professionals. Of the booksellers, many are independents, but the buyers at B&N and Amazon read us daily as well. We are proud that our list has expanded mostly through word of mouth, which gives us our extremely high read rate. We currently have more than 410,000 readers of the emailed and web versions of Shelf Awareness for Readers. A majority of the subscriber base are people who signed up for their local independent bookstore's mailing list, so they're very engaged book lovers. Download the PDF of the 2019 editorial calendar for a schedule of our themed issues of Shelf Awareness for Readers. To check availability or make a reservation, email sales@shelf-awareness.com. Please include your contact info, placement choices and dates. To submit your ad, please email it to: ads@shelf-awareness.com. Please include a link and a RGB image in either .jpg or .gif format, saved at 72dpi. Please note that our maximum size is 50 kb. Deadline: Ads in Pro are due at 5pm (EST), two days before publication. Ads in Readers are due at 5pm (EST) three days before publication. Need design help? Contact us. 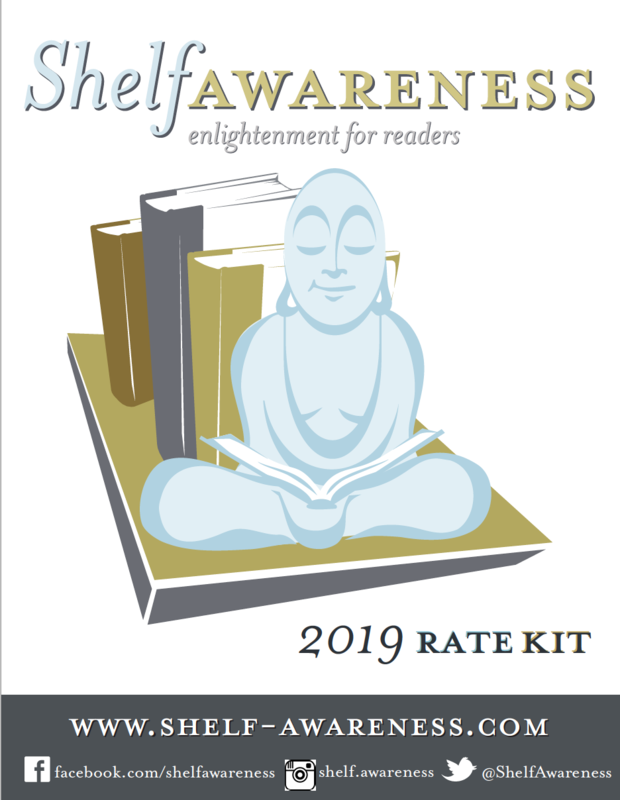 Download our 2019 Rate Kit (pdf) for complete details and prices. Which Ads Are the Most Successful? Booksellers and librarians enjoy reading Shelf Awareness—and they see the ads.